I have some very fast moving assignments. For those portrait gigs when I have just a few minutes to prepare, I've created a quick-release lighting rig that takes only seconds to set up. I use a FotodioX C-200RS FlapJack LED Bi-Color Edge Light with a flat tripod quick-release head that I had laying around the studio. I mount the quick-release on the top of a Manfrotto Alu Air-Cushioned Compact Stand that fits on the side of my backpack en route. The stand also sets up quickly. The mounting plate is already attached to the FlapJack light. So the procedure is to unfold the stand, attach the light, and shoot. I use LED lighting for fill when capturing indoor environmental portraits. It allows me to add a little twinkle to the eyes and control the shadows. The FlapJacks have built-in diffusers so I don't need to mess with any additional gear. If you want a super-quick portrait setup, and have a quick-release plate laying around, you might want to construct your own kit. They are quite the blessing when working in the field. This is The Digital Story Podcast #663, Nov. 27, 2018. Today's theme is "Kelley Cox - Pro Sports Photographer and Olympus Visionary." I'm Derrick Story. As a working sports photographer, Kelley knows that she needs every advantage to compete with her peers on the playing field. Her Olympus E-M1 Mark II provides her with a competitive edge by not weighing her down and allowing her to maintain her energy during a long day of active shooting. Kelly joins me on today's show to discuss technique, gear, and how she broke in to this exciting profession. Kelley is a photographer based in Berkeley. As a freelancer with USA Today Sports Images, she regularly photographs all major sporting events including NFL, NBA, MLB, NHL, MLS, and NCAA football and basketball. She has covered multiple championship events including the World Series, the NBA Finals, and the Super Bowl. She photographs sports, love, corporate, adventure... and her feet! She has had her images published by: Sports Illustrated, ESPN the Magazine, The New York Times, the Boston Globe, Fortune, USA Today, California Magazine, Swimming World, Business Sports Journal, among other print and online publications. You can see more of Kelley's work at her web site. I think you will enjoy our chat in today's show. Each week for the month of November, I'm going to feature an inspirational photographer who uses Portfoliobox as his/her platform for presenting their work. This week I want to point you to www.jakobbackrud.com. Jakob Bäckrud is a 22-year-old photographer from Sweden. He writes about Portfoliobox, "Portfoliobox is a great way of getting your work out there. It is very, very simple to create a good looking webpage where you can upload all your work to have it displayed in one place. I never have to do any sort of programing. I just upload my newest images and then it updates immediately on my personal page. Running my page recently helped me get a job in the industry. The work you are proud of should always be available for other people to enjoy and share and this is a great place for it, you never know where publishing could take you!" - We had a great response to last week's unveiling of the 2019 TDS Photography Workshop Season. Every event already has multiple deposits. If you want to join us in 2019, and I hope you do, please visit the Workshops page and find the event that's perfect for you. I just delivered a job using Capture One Pro and Luminar 2018 for the post production. And to be honest, the final product wouldn't have been as good without Luminar. I'll explain a bit more about that in a minute, but first I want to cover why now is the time to purchase this app if you've been thinking about it. Currently Skylum has the app on sale for $59. That includes Luminar 2018 (with free upgrade to Luminar Libraries in Dec.), 1 year free SmugMug Portfolio Plan ($180 value), plus 119 Dramatic and Romantic Sky Overlays ($29 value), plus 20 percent off COOPH apparel and accessories. On top of that, you can save extra $10 with coupon code: THEDIGITALSTORY - Total is $49 for everything. On top of using Luminar to help prepare my images for clients, I use SmugMug to deliver them. Smugmug's presentation of my work makes a great impression, and the ease at which I can control permissions is very helpful for me. It's a great combination. And it's one that I've been using successfully for years. Going a step further, Skylum will release Luminar with Libraries on Dec. 18. 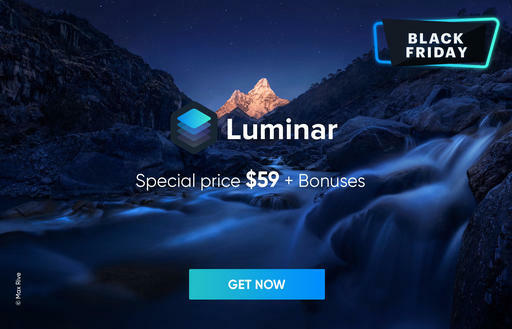 This will be a free upgrade for current Luminar users, which you would be if you took advantage of the Black Friday offer for $49. Over time, the library function will evolve into a photo management system that should be able to handle all of your organizational needs. You can get in now, essentially for free. Going back to my own workflow, I can create images in Luminar that are impossible for me to build any other way. The amazing AI tools combined with the creative filters such as Image Radiance give me editing options unlike anything that I've experienced before. And what's really interesting, is that I can bring this workflow to my personal work as well because Luminar doubles as an editing extension for Photos for macOS. So all of my iPhone pictures can also be enhanced with these tools. So Luminar has become an important part of both my professional and my personal work. I really can't image post processing without it. The Black Friday sale ends November 28. If you're leaning this way at all, I would take a close look at it. You learn all the ins and outs of Luminar 2018 via my Essential Training on lynda.com and on LinkedIn Learning. It's fun, and I promise, you will learn a lot. The big story, as I see it, with Photos for macOS Mojave, is Mojave itself. It's a very photographer-friendly operating system. And in my latest lynda title, Photos for macOS Mojave Essential Training, I show you how the Photos app and the OS work together to make your iPhone-mirrorless-DSLR experience efficient and enjoyable. Here's a "What's New" movie from the title that will get your feet wet. The cool thing is, this software is already on your Mac. All you have to do is learn how to use it. And what better way to do that than with me showing you my favorite tips and tricks. Here's an overview of the course: "With the Photos app for macOS Mojave, you can manage, enhance, and share photos in a variety of ways. In this course, photographer and educator Derrick Story takes you on a detailed exploration of this Apple photo management application. To start things off, Derrick discusses what's new in Photos for macOS Mojave. Next, he goes over ways to add photos to your library, and then sort, organize, and delete those images. Later, he walks through how to use the application's basic editing tools, as well as how to leverage third-party editing extensions while editing in Photos. Plus, learn how to work with video and Live Photos, share and export your work, and more." Photos for macOS Mojave Essential Training is available on lynda.com and it's also ready to view for LinkedIn Learning subscribers. 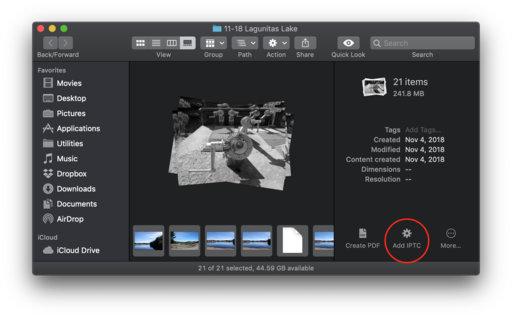 See for yourself how the Mojave/Photos workflow is both powerful and fun to use. This is The Digital Story Podcast #662, Nov. 20, 2018. Today's theme is "TDS Holiday Gift Guide and Stocking Stuffers." I'm Derrick Story. Window shopping is a long standing holiday tradition. And these days our computer screen is just as much part of the experience as the storefront display. On this week's show, I have assembled a delightful gift guide and a bonus list of stocking stuffers. So make yourself a cup of cocoa and join me for our annual holiday extravaganza. 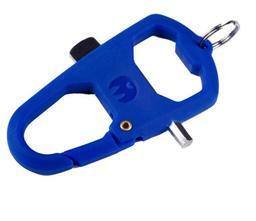 3 Legged Thing Toolz Multi-Tool ($7.99) - The perfect stocking stuffer for every photographer - Sturdy, lightweight, cool tools, and it fits on the keychain. SanDisk 128GB Ultra USB 3.0 Flash Drive ($28.74) - Think about it... 128GB of fast storage for less than $30. This could be a life saver. 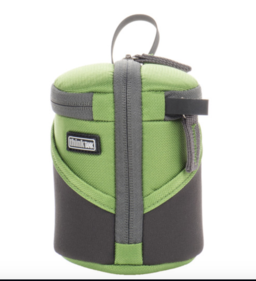 Think Tank Photo Lens Case Duo 5 ($20.75) - Far and away my favorite lens case these days. Comes in green or black. Great for most mirrorless optics. 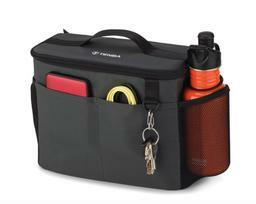 Tenba Tool Box 8 ($37.95) - With 7.0 x 8.0 x 2.75" interior dimensions, 10 compartments, and translucent cover, this is the perfect way to stow and organize gear. Comes in different sizes too. Tenba BYOB 10 Camera Insert Gray ($35.08) - The gray BYOB 10 Camera Insert from Tenba is designed to carry and protect a camera and gear inside other non-camera bags including larger backpacks, suitcases or handbags. Its soft outer shell molds to the shape of a variety of carry bags. The gray BYOB 10 will hold a DSLR or mirrorless camera body with up to 4 lenses and accessories and can fit a 24-70mm f/2.8 lens attached to the camera body. Super handy! Olympus Fisheye Body Cap 9mm f/8 Lens ($98.72) - One of the coolest lenses in the world - 18mm (35mm Equivalent), 2 Aspherical Elements, 140° Angle of View, and Extremely Slim Body Cap Profile. SanDisk 500GB Extreme Portable USB 3.1 Type-C External SSD ($109.99) - Incredibly light and compact - 10 Gb/s USB 3.1 Type-C interface, which is also known as USB 3.1 Gen 2 and delivers read speeds of up to 550 MB/s. Additionally, this SSD is IP-55 rated and features resistance against water, dust, and shock. It can withstand a water flow of up to 30 kPA for 3 minutes, 1500 g of shock, and 5 gRMS of vibration @ 10-2000 Hz. I've been using one and I love it! 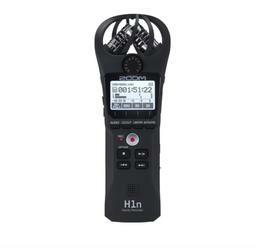 Zoom H1n Digital Handy Recorder ($119.99) - The H1n is geared for musicians, journalists, podcasters, and more, recording WAV and MP3 files to meet your professional needs. The H1n has a stereo X/Y microphone configuration that captures a realistic stereo image. The unit records audio to microSD or microSDHC flash memory cards, supporting capacities up to 32GB. The H1n records WAV audio at rates up to 24-bit / 96 kHz, and MP3 audio at rates up to 320 kbps. The pocket-sized device runs on two AAA batteries, providing up to 10 hours of continuous operation. If you ever need to capture audio, this is the device for you. I use one on the road for the TDS podcast. Genaray Ultra-Thin Bicolor 288 SMD LED ($139) - All-Aluminum, Slim, Lightweight Design, 3200-5600K Adjustable Color Temperature, 10-100% Brightness Dimmer, 2.4 GHz Receiver for 98' Remote Control, Integrated Barndoors & Diffuser. 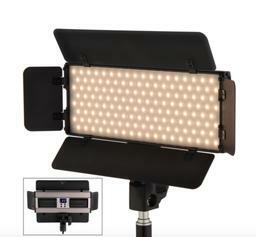 These LED panels are so handy, from portraits to product shots. Easy to transport as well. Very nimble. Panasonic Lumix G 25mm f/1.7 ASPH. Lens ($148 - $100 savings) - This is a compact, fast, sharp, and versatile optic for Micro Four Thirds shooters. Every photographer should have one of these in his/her bag. What a great value! Each week for the month of November, I'm going to feature an inspirational photographer who uses Portfoliobox as his/her platform for presenting their work. This week I want to point you to Detomsign. His clean, engaging fashion photography is truly engaging. He writes about Portfoliobox, "I like that this is not only a website creation tool, it's much more than that. It's like a community of creatives which are supported by professionals like Portfoliobox. I'm always recommending everyone that Portfoliobox is the best, easy to setup and ready to go at a minute. Will be using Portfoliobox for a long time and none of the others are as good as Portfoliobox You want the best? You can't go wrong with Portfoliobox I would say." Pedco UltraClamp Assembly Camera Mount Accessory for Cameras, Scopes, and Binoculars (1.5-Inch) ($23.47) - The Pedco UltraClamp Assembly adjustable camera mount accessory for cameras, spotting scopes, and binoculars allows for stability and flexibility in attaching an optic device to bike and motorcycle handlebars, car windows, roll bars, railings, tables and other objects and surfaces. The ball and socket head provides a wide range of angles for framing subjects, and can be quickly and easily adjusted. 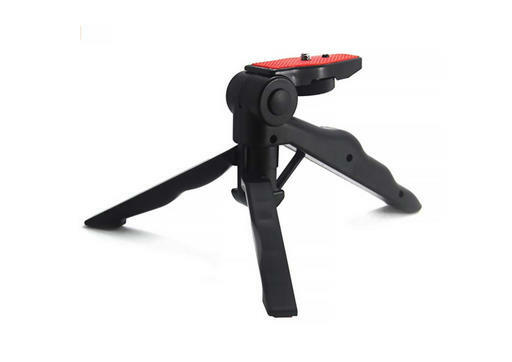 Mini Tripod Table Stand with Pads and Soft Pistol Grip for DSLR 1/4" Cameras Weighing up to 2.5lbs ($8.99) - The ZaxSound is a heavy-duty tripod, can support cameras weighing up to 2.5lbs because it has 1 support leg that is built into the tripod main frame structure, which handles all the weight. and the other 2 legs that provide stabilization to the tripod. Lume Cube - Bluetooth LED Light (Single - Black) ($79.99) - Proudly known as the World's Most Versatile Light™, Lume Cube represents the future of LED Lighting. Built with professional quality specs, the Lume Cube is pocket sized at 1.5 inches cubed, emits a powerful 1,500 Lumens of daylight balanced light and is waterproof to 100 feet and made with a custom lens. Diffuse, Gel or Modify the light output via the Lume Cube Light-House. Mount it to any of your devices via the built-in 1/4" 20 tripod mount on bottom. Control with manual buttons for quick adjustments or our Bluetooth App, this powerful little light can be used as a Flash (down to 1/125 of a second in Slave Mode) or constant video light. LensPen New DSLR Pro Camera Cleaning Kit, NDSLRK-1 ($16.75) - Digital lens, filter and compact lens cleaning kit. Safe for use on all optical devices. Kit contains miniPRO II, FilterKlear and LensPen. Patented carbon compound. Over 500 cleanings. Giottos AA1903 Rocket Air Blaster Large-Red ($11.99) - Large black Rocket Air Blaster easily removes dust and debris from cameras, lenses and filters with a powerful blast of air. Made of rubber. Includes a one-way valve to prevent Blaster from breathing in dust and spreading it back to your equipment. I have a location assignment on Monday where I have to shoot wine bottles at the winery, both with scenery backdrops and on seamless paper. 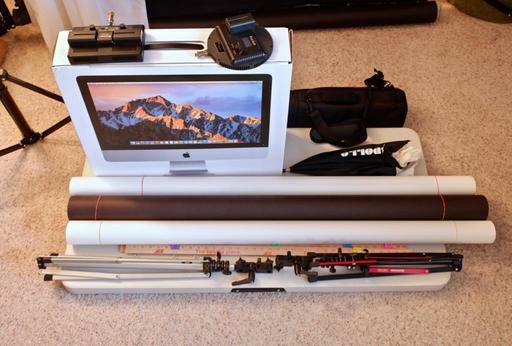 Fortunately, I've designed a semi-portable product shot studio using an iMac box, a table, seamless paper, and lots of clips. If this has piqued your curiosity, read on. Let's start with a finished product using this setup. 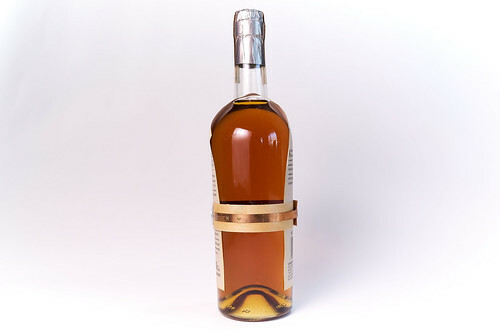 Whiskey bottle photographed using the "iMac Box" semi-portable studio. One LED light in a softbox. RAW file file processed in Capture One Pro 11. I always bring my own table because I've learned not to depend on clients for suitable working surfaces. This puts me in complete control of my shooting environment. 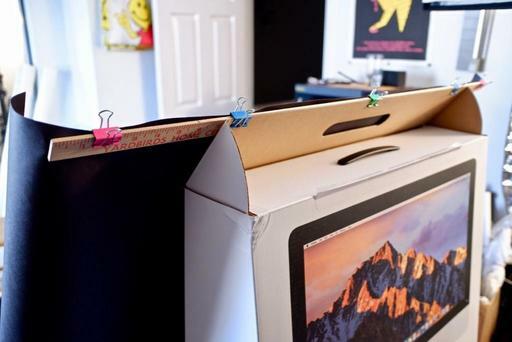 At this point, I'm sure you're wondering about the iMac box. It is a critical element for this rig. Why? Because it is the right height for my backdrop stand, it is very stable, and the way the box opens allows for an adjustable connector for the seamless paper. That way I can get just the right slope so I can create a gentle curve for a studio effect. For the white backdrop images, I use a small softbox for the front lighting and a second light on the background to keep it nice and bright. The second light can also provide a bit of rim lighting on the product if necessary. These are both LED units that run off batteries. I cut the seamless paper so it fits semi-perfectly with this set up. Wooden yardsticks help me expand the width slightly beyond the iMac box, and they provide nice helpful anchors on both ends of the seamless. The camera, (in this case a Pentax KP DSLR with the wonderful HD DA 20-40mm f/2.8-4 ED Limited now on sale for $596, $200 off and a steal) is positioned on a tripod with the flip LCD angled upward for easy viewing. I also bring my own stool that's just the right height for this working environment. From here, it's just basic photography. Adjust the lighting, set the exposure, check the color, then take the picture. 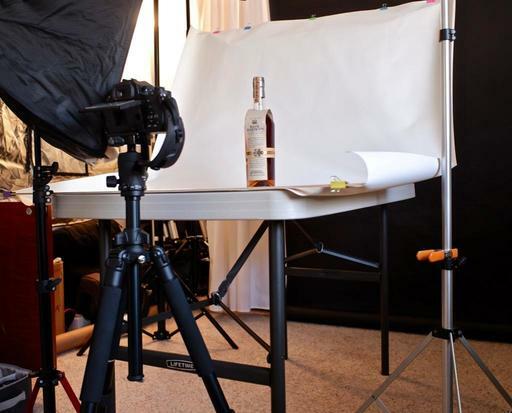 Once the first product is successfully recorded, the process is fast for additional shots. When this part of the shoot is complete, everything breaks down quickly and can be carried for transport in the back of the Audi A3. Yes, I have to drop the back seats to accommodate the table. Some folks may wonder why I don't use a popup cube product studio for this assignment. I do have one, and I love it. That's what I use for the product shots for the TheFilmCameraShop that I run. The problem is that the popups are not quite big enough for group shots of wine bottles and other larger subjects. If I knew all the items were going to be small, then I would indeed go that route. So there it is... a versatile portable studio that's relatively nimble and very efficient. Wish me luck on the shoot. Want to learn more about Capture One Pro? Take a look at my course titled, Capture One Pro 11 Essential Training on LinkedIn Learning. You can also tune in on lynda.com if you prefer your training there. Either way, I have four hours of entertaining education that will help you master this excellent photo management and editing application. What a fun way to close out a busy 2018! This year's Holiday Gift Guide features quality items at a great value for the discriminating photographer. 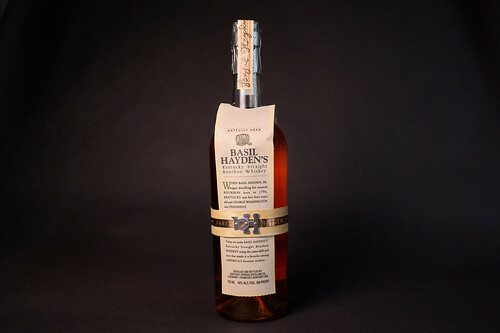 Take a look and snag a few of these for your holiday stockings. And as we wind down 2018, a special thanks to all of the members of The Digital Story community. I so appreciate your support of this site and the weekly podcast. And I'm looking forward to a creative, productive, 2019. This is The Digital Story Podcast #661, Nov. 13, 2018. Today's theme is "The 2019 TDS Workshop Season." I'm Derrick Story. Every year we strive to make our photography events even more compelling than the season before. For 2019, we have what I consider our best offering to date. Four unique events in fantastic destinations at truly affordable prices. And in today's TDS Photography Podcast, I will share each one of them with you. 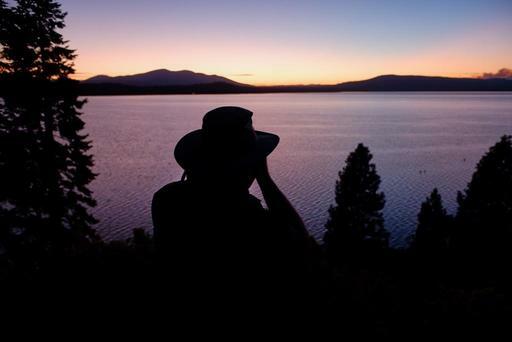 So sit back, tune in, and contemplate the possibilities for your next photography adventure. Here is the event slate for 2019! You can reserve your spot by visiting the 2019 TDS Workshops page and placing your $100 deposit for the event of your choice. You can reserve your spot by visiting the 2019 TDS Workshops page and placing your $100 deposit for the event of your choice. Each week for the month of November, I'm going to feature an inspirational photographer who uses Portfoliobox as his/her platform for presenting their work. This week I want to point you to Eva Fidziukiewicz. Not only is her fashion work outstanding, but her unique Portfoliobox design is equally appealing. 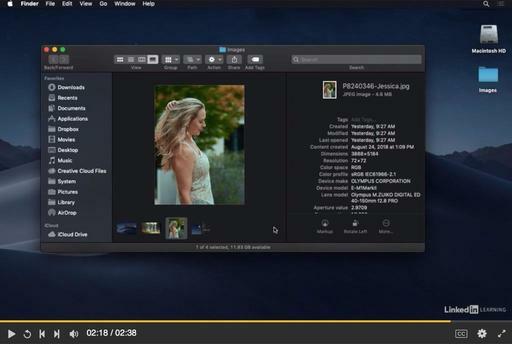 Former Aperture users... don't delete the app quite yet. I have a helpful, practical purpose for keeping it on your hard drive: to add IPTC metadata (semi-automatically) to your pictures. 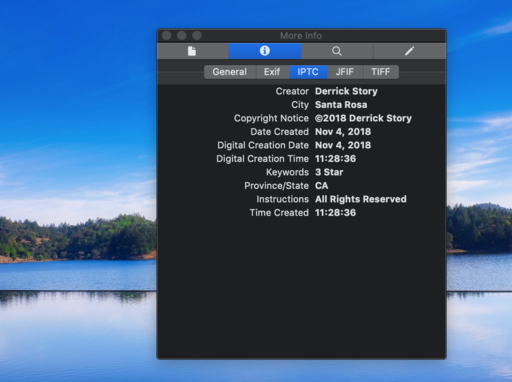 I'm using the Automator/Aperture tandem to include my copyright and author info with images that may fall outside my normal workflow, and don't have camera functions to include them. I've been adding data to iPhone images and those from the Fujifilm XF10. Here's how it works. That's right. It's that time of year. And I have handpicked 10 fun, creative, useful gift suggestions for that favorite photographer in your life (who also might be you!). You definitely won't want to miss this show. My photography world usually lives between 24mm and 105mm. Portraits, events, and urban fit nicely in this frame. But, there are those times when nothing else but an ultra-wide will work. It's an investment that I initially resisted, but praise the heavens ever time I use it. Interior captured with a 10-20mm Sigma on a Pentax KP. Photo by Derrick Story. Such was the case last week during an assignment. I had few details about the shoot, and wasn't sure exactly how to prepare. My Sigma 10-20mm f/3.5 EX DC HSM sits in the bottom of the bag beneath the Pentax KP DSLR because I don't shoot with it as often as my other optics. But on this day, I really needed it. 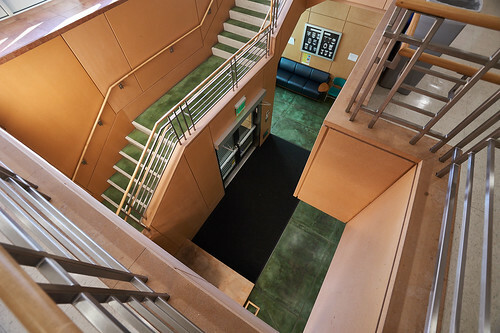 When the client pointed to a interior staircase and asked, "Can you capture all of that for me? ", I smiled, and replied, "Indeed I can." I mounted the Sigma 10-20mm on the Pentax, and just left it there for the rest of the day. I like to shoot this way. Two camera bodies with the two optics that I'm using most at the time. The Olympus OM-D E-M1 II had the Panasonic 12-35mm f/2.8 zoom that covered 24-70mms with the crop factor. And the Pentax/Sigma combo covered the 15-35mm range. From that point on, the shoot went as smooth as ice. 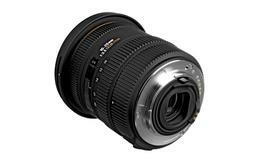 The Sigma 10-20mm f/3.5 EX DC HSM is available in mounts for Nikon, Canon, Sony-Alpha, Pentax, and Sigma. It originally sold for $649, but is now available for $399 thanks to an instant $250 rebate. I hemmed and hawed a bit before making this purchase last year. Now, I can think of at least a dozen photo shoots where it saved the day. 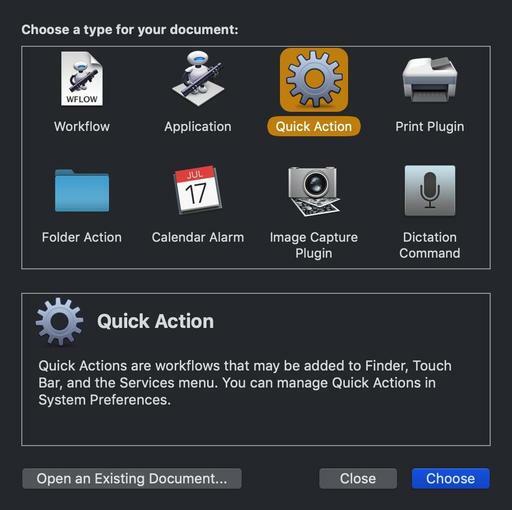 Start with an Automator Quick Action. First you have to create an Automator Quick Action. I outlined the steps on how to do this in the article, Create Your Own Quick Action Shortcuts for Photo Tasks. This time, however, you're going to build a Quick Action using a series of short AppleScripts written for Aperture. Here's the recipe. 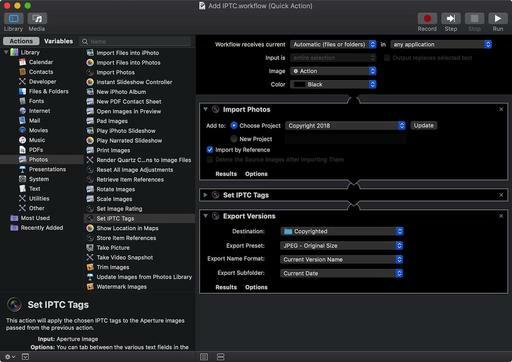 The actions are in this order: Import Photos, Set IPTC Tags, Export Versions. When I add the actual fields to the Automator Action, I keep it simple. Study the screenshots carefully to customize your own workflow. 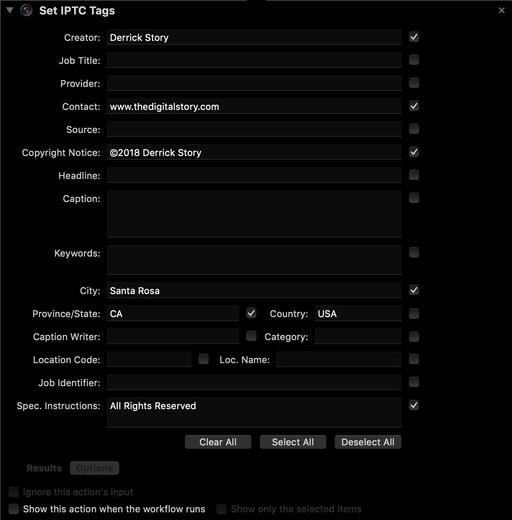 Here are the actual IPTC tags that I include. Once you have everything completed, Save the Quick Action. Automator will place it in the proper Services folder so it's available when working at the Finder level in macOS Mojave. Now it's time to play. Make sure Aperture is open and running in the background. I would also create a new folder on your Desktop to receive the copyrighted images. Copy a small batch of images to a folder on your Desktop. Open them in Mojave's Finder using Gallery View. You can peruse the current EXIF data for the shots. Now let's add the IPTC info. Select them all (CMD-A), then choose your new Quick Action from the gear menu. Automator will go to work. In the background, Automator will run all the pictures through Aperture, add the data you want, then place them in the folder you selected on the Desktop. It will take a few seconds per image to process. One it's finished, all of your copyrighted images should be in their new folder. You can check one by opening it in Preview and reading the Info panel. I imported these IPTC pictures into Photos for macOS Mojave, worked with them, then exported them out of the app. All of my metadata stuck with the pictures. There are lots of individual uses for this workflow. It just depends on the data you add to the Automator Action. Give it a try and see what you come up with.